Cook a family favorite! 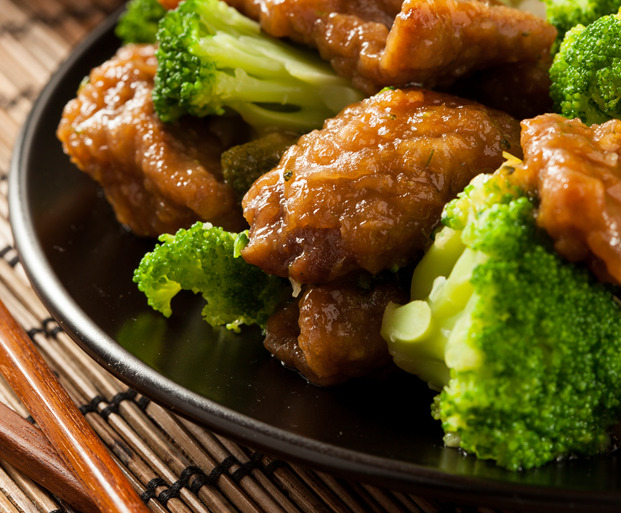 Easy Beef and Broccoli in Oyster Sauce. 1. Heat the cooking oil in a wok. 2. When the oil becomes hot, put-in the beef. Cook for 4 to 5 minutes. 3. Add the garlic. Stir and cook for 2 minutes. 4. Pour-in soy sauce and oyster sauce. Stir. 5. Add the water and beef cube. Let boil and simmer for 30 minutes. 6. Put-in the broccoli. Cook for 2 minutes. 7. Pour-in the water with cornstarch. 8. Add sugar, salt, and pepper. Stir. 9. Transfer to a serving plate. Serve. Share and enjoy!